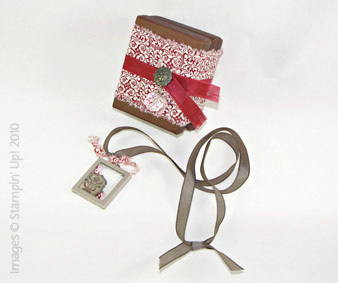 Making handmade gifts provides a chance to say what’s in your heart with each creative step. 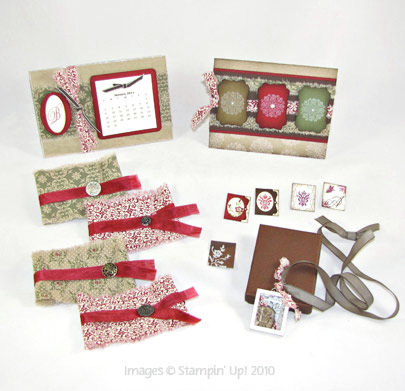 Come make heartfelt and affordable gifts with me. We’ll be using the beautiful new Designer Fabric and more to make unique gifts! No-sewing required for these quick gifts, so don’t worry. See below for more pictures of what you can create during class. 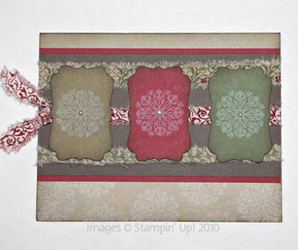 Cost: $30/person includes all supplies! 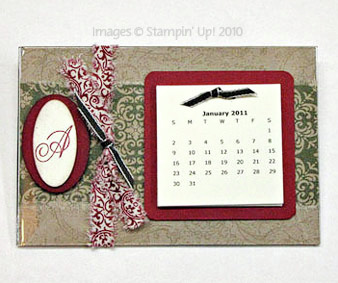 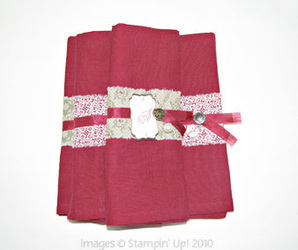 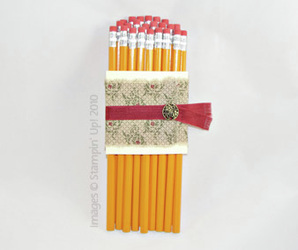 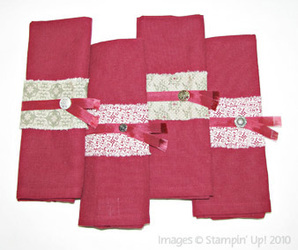 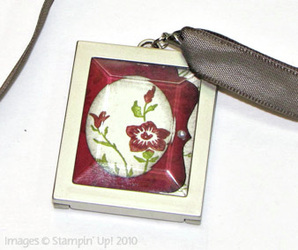 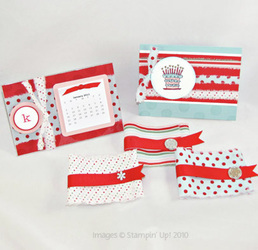 Simply Adorned 1x1 1/4" Charm, Calendar Frame, 4 Fabric bands to wrap gifts or use as napkin rings and a matching card and ring. It will make a great gift or two. 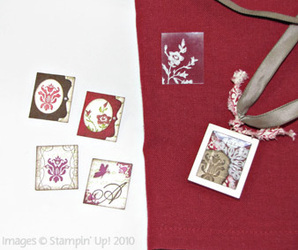 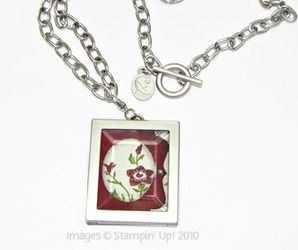 MUST preregister 2 weeks prior to class at www.grateulstampers.net or call Ellen Barner prior to coming!